Art Primo Reviews by Anonymous - A Top 50 Reviewer! All the reviews by Anonymous - A Top 50 Reviewer! i love whiteout pens. 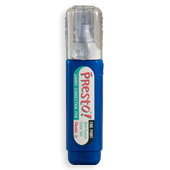 especially the presto, its the easiest to squezze so you can control the flow well. i always carry one with me. writes on anything pretty much. 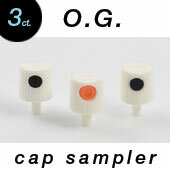 if you cant bust a good nut with these caps, you need some practice. oh yeah, adding on to my last review, if this doesn't fit in your pockets your wearing skinnies and you need to go pick up some baggies. this marker is a must have, it barely take any ink to refill it so you don't go broke. 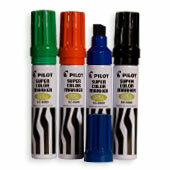 one of the reasons I was gonna get this marker was because its cheap, & refillable. one thing i don't like about it is its not a valve system. my friend got one in the order i just made. the marker i bought was the streetduster cause i like its medium fat sized nib and i have hella blue dykem ink. ship my order fastttt!!!!!!!!!!!!! please. AP Reply: You obviously have never used this marker. 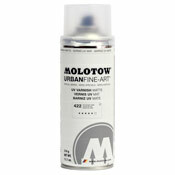 There is a reason why graffiti writers have been getting up with the Pilot jumbo for over 20 years. Actually there are many reasons. The main one is because it does NOT have a pump action valve so when you fill it with ink, the ink flows right to the nib without the "middle man". This marker comes with very good ink, is cheap and easy to refill, metal body so doesn't break, super durable felt nib, marks on most surfaces, the list goes on.